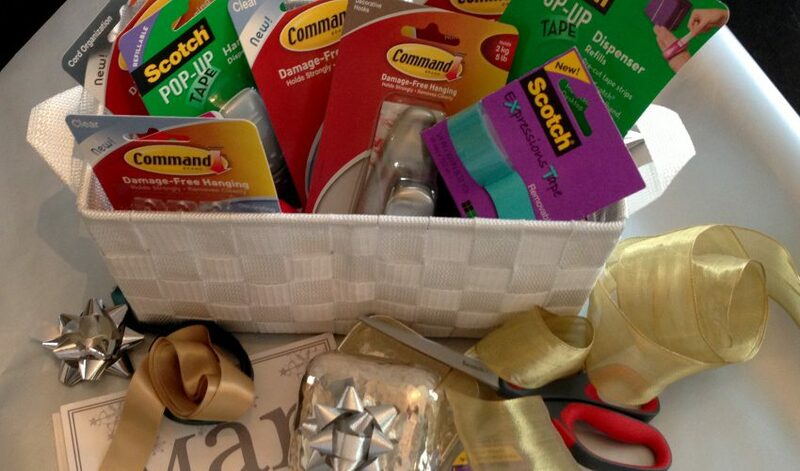 Holiday decorating, gifting and wrapping it up with style is easier when you have the right tools at hand. So it’s time to stock up for your decorating and gift wrapping needs. Whether wrapping the perfect present for friends and family or decorating my home for the arrival of guest this holiday season, I find it’s easier to be creative with my favorite “stand-bys” from 3M. I love the Command strips! I can hang wreaths, decorations and stockings without putting nails in the wall and fireplace (and then take them down — or relocate them if I change my mind — in a snap). And who can think of holiday presents without thinking of Scotch tape?! The Pop-Up type makes it a breeze to wrap without wishing you had a third hand. Plus the Invisible type means I can even wrap the most delicate papers without seeing masses of tape. Being inspired is only the beginning; having the right resources is what makes creativity possible.